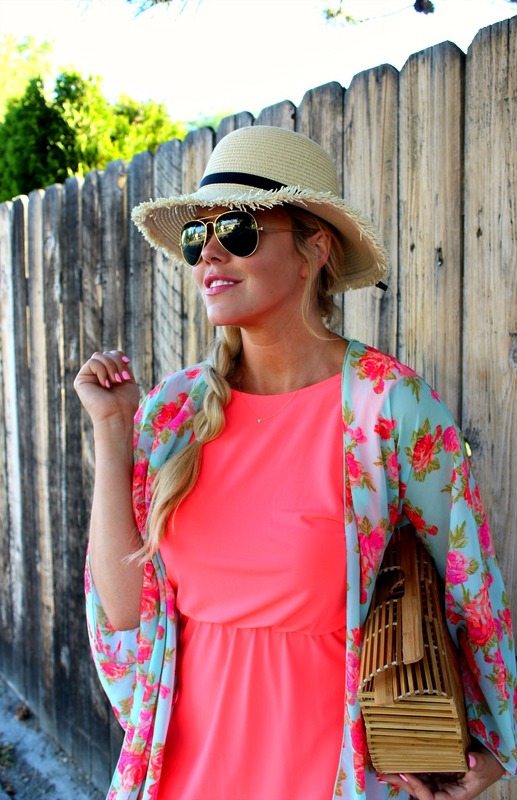 Kimonos are such a good accessory that can be layered over dresses, tanks or even swimsuits! 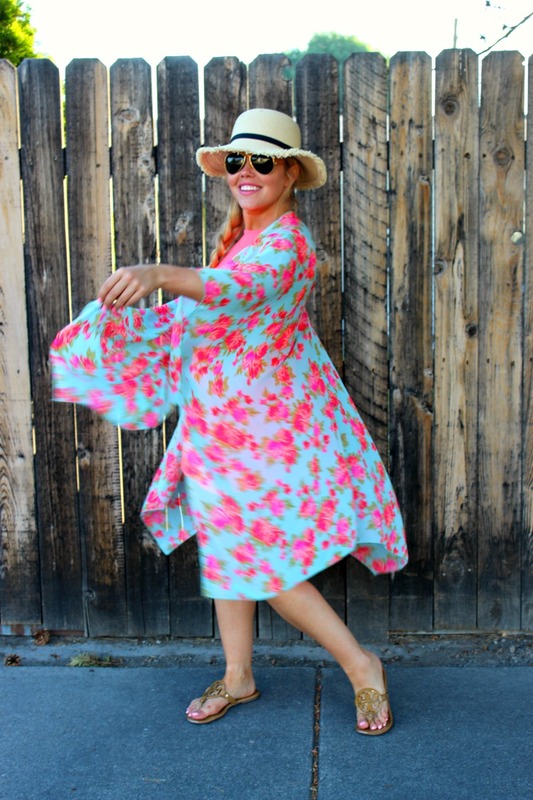 They also can add some pop to a relatively simple outfit because they are usually bright colors or a unique pattern. 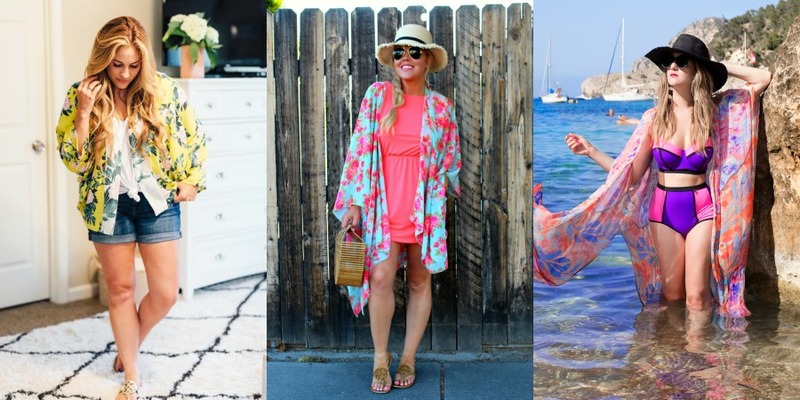 What kimonos are you wearing this summer? Bloggers : All bloggers will be able to submit their post links via the inlinkz widget below every Tuesday at 12:00am CST with their take on our trend of the week. This will allow bloggers to show off their personal style, find new followers and meet some great fashionistas! You will also have the chance to be featured on our blogs the following Tuesday (if you make sure to link back to Laura and my blog) ! So grab the button and link up. = ) For all bloggers we simply ask that you please follow your hosts – Walking in Memphis in High Heels, The Fashion Canvas and our guest host A Lacey Perspective and provide a link to the Trend Spin Link-up in your post or add the button below to your blog. Don’t forget to stop by everyone’s blogs to see how they wore the trend today. Leave a comment on my blog, and also on at least 5 other blogs! 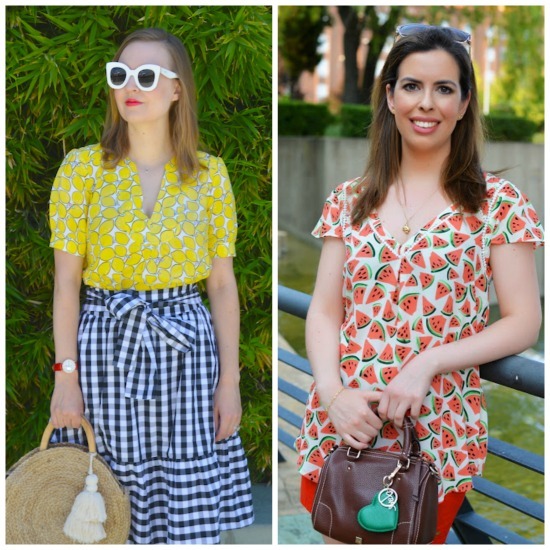 Summer Tops from last week’s linkup! Shop Heeled Sandals, Blouses On Sale, Blue Mini Bags, Blue Cocktail Dresses and more. Get this widget.